Read this section and the compatibility article before you ask questions. If your question is already answered in those sections, I will not answer. I’m getting a DLC authorization error. This means that you have not installed the DLL files. You need to put those into Mass Effect 3\Binaries\Win32. I’m getting black textures with ALOT. This mod and every other DLC mod must be installed before a lot and any other texture mod. If you are getting black textures, it means that you did not follow these instructions. The only option is to vanilla the game and start over. My game is hanging after I installed The Helmets Stay On. Autotoc your game with your program of choice. 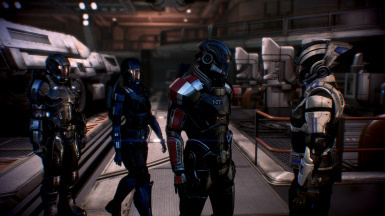 If you do not know how to do this, consult the ME3explorer wiki. Is it possible to do this for the res tof the game as well? 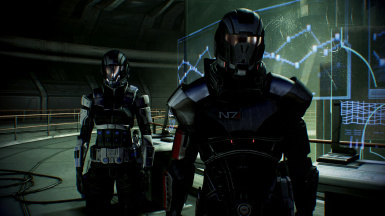 Several other parts of the game like the Citadel Coup and Horizon remove the helmets as well, which annoys me so much. When I put a helmet on my character, I expect it to stay on. My prayers would be answered if someone finally fixed that for ME3. I'm wondering the same. 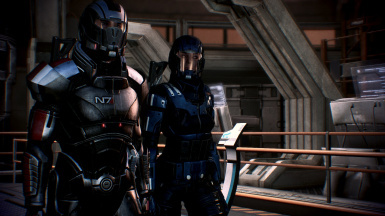 That look is part of another mod called 'Liara Default Replacer' (https://www.nexusmods.com/masseffect3/mods/274). Problem is, for some reason, it doesn't scan in ME3 Explorer Texplorer tool. Which means I can't apply modded Liara textures on it. Which is the only reason I don't use it anymore. I'm hoping this mod is included as well. Was just about to say that. Yes, I finally just manually installed the mod, and your mod works great! Thanks! Great mod my dude, thanks for being the one to finally fix this dumb design choice. Also good luck with getting that compatibility patch granted because, well....yeah, good luck. Non-mod related question: What ENB/Rehade/SweetFX setup are you using in those screenshots? It kinda looks like ME3Cinema but different. Awesome mod, I think I'm in agreement with you here on this being silly in vanilla. Any plans to do this on the rest of the game? 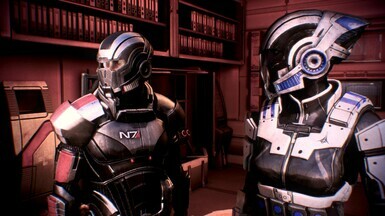 I know there's that mandatory scene on Palaven when 1st meeting Garrus that's a forced helmet off scene, even if you're wearing one. Regardless, great work Scottina, glad to see this community is still coming up with fantastic content!